Watch Olympic show jumper Laura Kraut demonstrate strategies and exercises for riding a winning jump-off in competition. This video is brought to you by NetJets. A jump-off during a show jumping competition is often the most difficult part of a class and presents a high-pressure situation for horse and rider, in which the pace is accelerated and turns are tighter. But there are exercises and strategies, both on the flat and over fences, that can help give you an edge at this critical moment in a competition, as Olympic gold medalist Laura Kraut demonstrates in this video aboard Confu, owned by St. Bride's Farm. 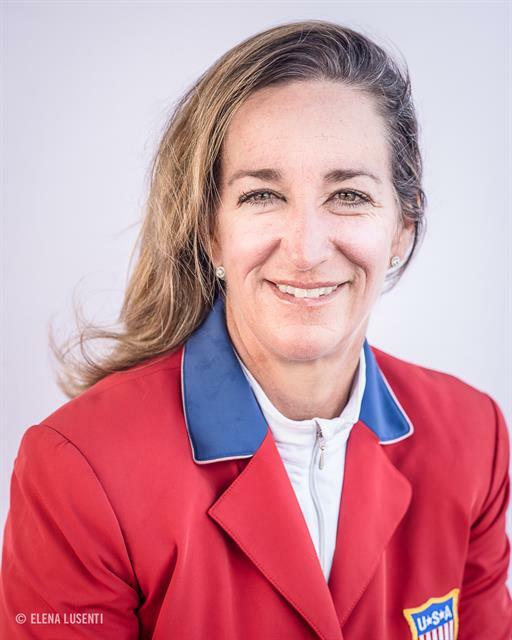 Show jumping athlete Laura Kraut has represented the United States at Olympic Games, World Championships, and Nations Cup competitions for more than two decades. She went to her first Olympic Games in Barcelona in 1992 as an alternate and made her Olympic debut at the 2000 Games in Sydney. In 2008, riding Cedric, she won the USEF Olympic Games Selection Trials and went on to be part of the gold medal-winning U.S. team at the Olympic Games in Hong Kong. She also earned a team silver medal in the 2006 FEI World Equestrian Games™ in Aachen, and she has ridden in several FEI World Cup™ Finals and on a number of Nations Cup teams, including a recent team silver in a tie with Switzerland at the FEI Nations Cup™ CSIO5* Aachen in July 2017. Kraut is based in Florida and Great Britain. Follow her on Facebook, Twitter, and Instagram @LauraKraut.